Khajjiar, a hill station in the Chamba district, is a hidden gem of Himachal Pradesh. It is renowned as the Emerald of Himalayas, India’s “Mini Switzerland” and Gulmarg of Himachal Pradesh. It is a perfect spot for those who adore nature. You can spend hours besides this beautiful emerald-green lake lying in the lap of dense forests, especially cedar trees. The best part about the lake is that it never dries throughout the year. You will also find a golf course that adds to the British aura of this place. On a sunny day, you can also enjoy a spectacular view of the Mountain Kailash. The Khajjiar Lake and Khajji Nag shrine are prime attractions of this place. In the 6th century, Chamba valley was dominated by Rajput leaders and later, the Mughals overtook it and then it was passed onto the Sikh rulers. After the Sikhs, the Chamba Valley came into the hands of Britishers and Dalhousie was also established by that time. The British influence is still present in the architecture and lifestyle of this town. Khajjiar became a part of Himachal Pradesh in 1948. Best Time to Visit : The best time to visit this place is between March-June and October-November. Khajjiar is no less than a magical paradise to experience. Below are a few things that will keep you forever enticed to its natural charisma. Kalatop wildlife sanctuary is dotted with oak and coniferous trees and is an abode to serow, deers, jackals, leopards, wild cats, black bears and many more. It has dense thick forests and this is why, it is called Kalatop meaning “black cap”. This sanctuary is spread amidst the streams of Ravi river. 2. Adventure on the go! 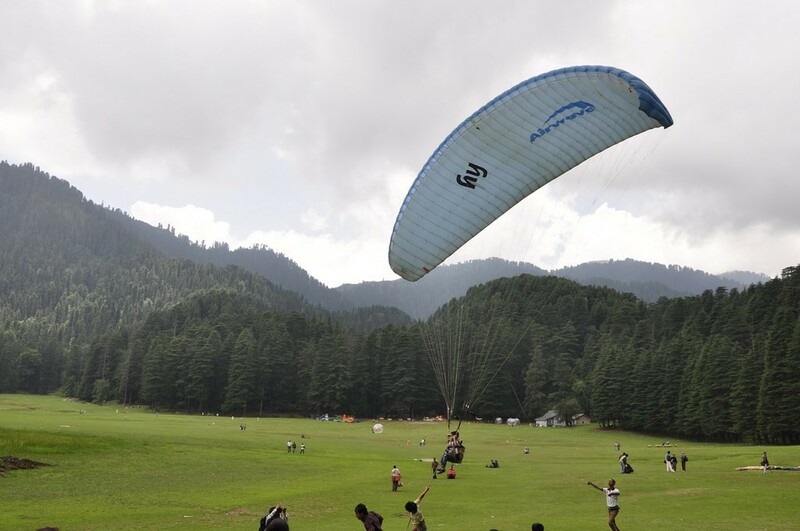 While you walk around the Khajjiar lake, you can enjoy adventure activities like Paragliding, Zorbing, Ball rolling and Horse riding. 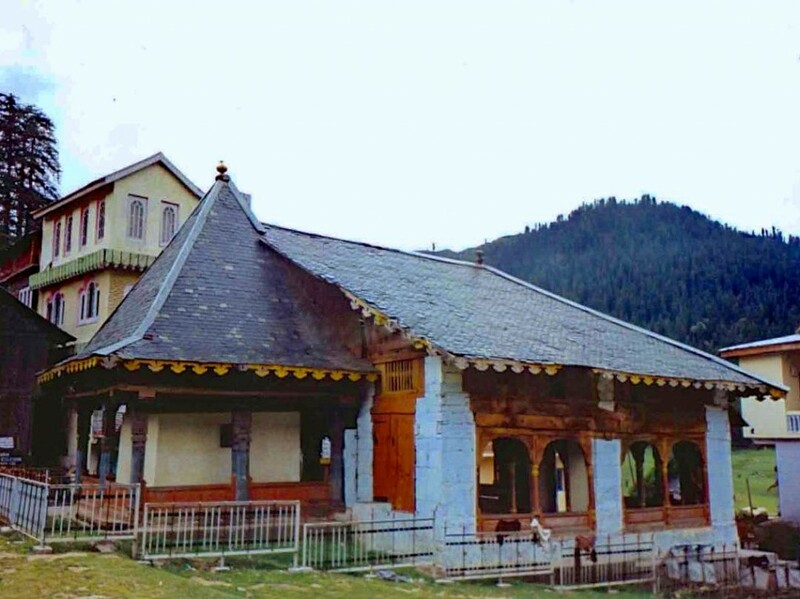 The famous Golden Devi Temple also known as Khajji Nag temple built in 12th century. It is a shrine made from wood, detailed sculptures and images of Kauravas and Pandavas (who fought Mahabharata), a golden dome and a pure gold spire as its main attraction. 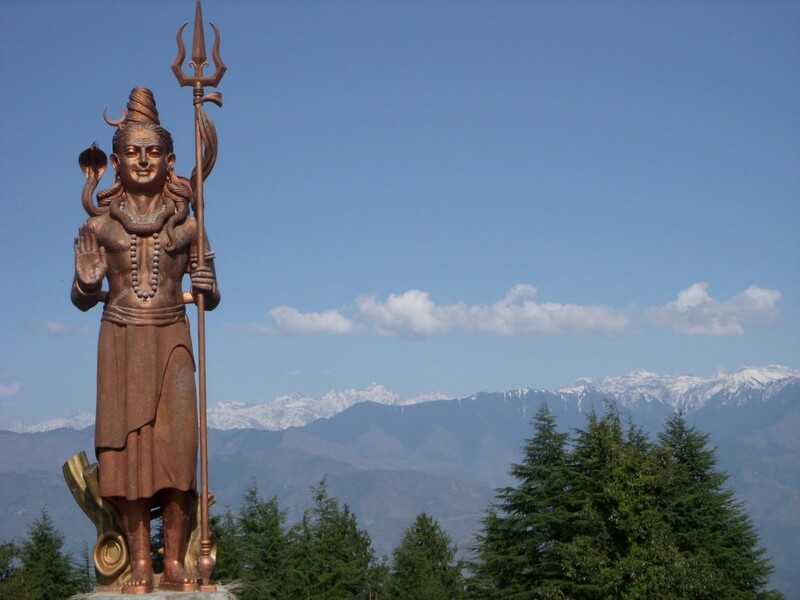 The 85 ft statue of Lord Shiva made of bronze is a majestic wonder on its own. Lord Shiva is counted as one of the three gods: Brahma (creator), Vishnu (sustenance) and Shiva (destroyer). This statue’s construction begin in around 2006 and ended in 2008. For people who love trekking, you enjoy a trekking tour to Dainkund Peak. It is an easy trek route for beginners. You can click pictures with rabbits on the way and soak the glimpse of the stunning Dhauladhar mountains. 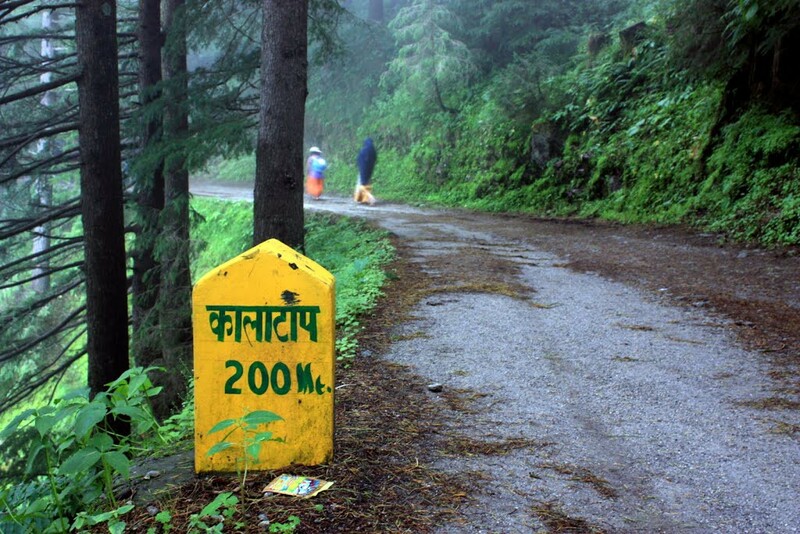 This two-hour trek begins at Pohlani Mata Temple. If you haven’t bought anything as a souvenoir of your visit to Khajjiar then visit the traditional Tibet market. This market will offer you a wide range of hand-crafted items available in vibrant colors and authentic designs. Pathankot is the closest railhead. Book a train to Pathankot and once you deboard, you can book a taxi to reach your onward destination. Many buses and taxis are available from Chamba and Dalhousie. 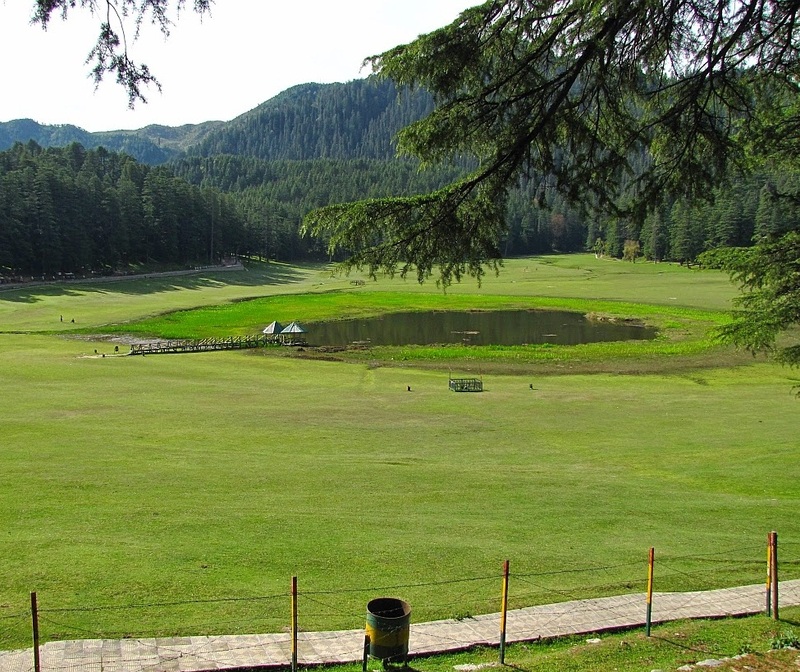 Khajjiar is one of the pristine beauties of India, which is well-known for its serene surroundings. This spot is a mix of religious significance, nature and British glamour. There are very less places in India which are untouched by human presence and Khajjiar is one of them. So if you are a traveler who craves for mesmerizing landscapes, beautiful waters and architecture masterpieces then this is a perfect destination for you. 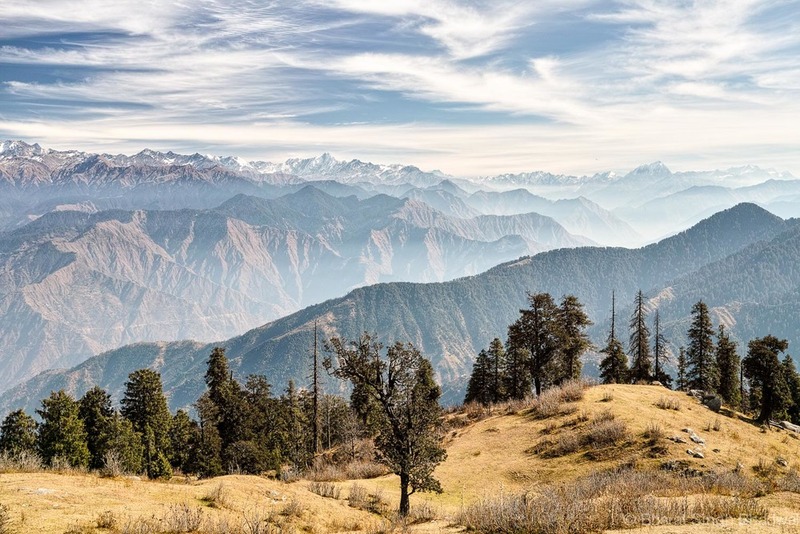 To explore this wonder of India, we bring to you “Enchanting Himachal” Tour to discover the magical beauty of Himachal Pradesh. 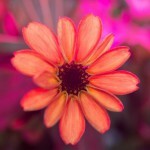 You can visit http://www.getsholidays.com.au/new-lp/enquire-nowR.asp?tour=Enchanting-Himachal and drop in your query. Our client support team will get in touch with you shortly.